For all those who follow my husband and I on social media, you will have read the phrase; "Do Something Epic in 2017" or as we like to put it, #SomethingEpicIn2017. My husband and I believe that in this year every person who is committed to excellence will achieve astounding results in their life. Yes, that means you, too! Our mother, Archbishop M.E. Idahosa through inspiration of the Holy Spirit, has declared 2017 as the year in which we are "Empowered to Do Exploits" (Daniel 11:32b). We have activated this prophetic declaration with our swift actions. 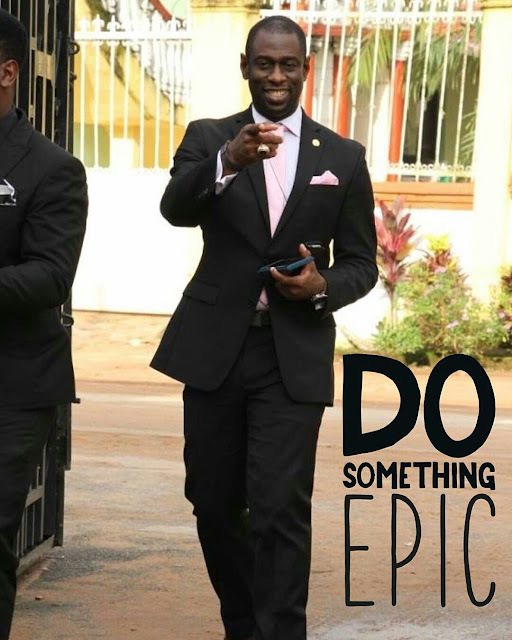 I have got some great news about "Something Epic" that is happening through Benson Idahosa University in 2017. This week, Principal Officers of the University joined my husband and I to meet with the Edo State Governor Mr. Godwin Obaseki. We presented a proposal that will directly affect the lives of everyone in Edo State. We are joining our proposal with the Edo State plan and calling it the #WasteToWealth initiative. 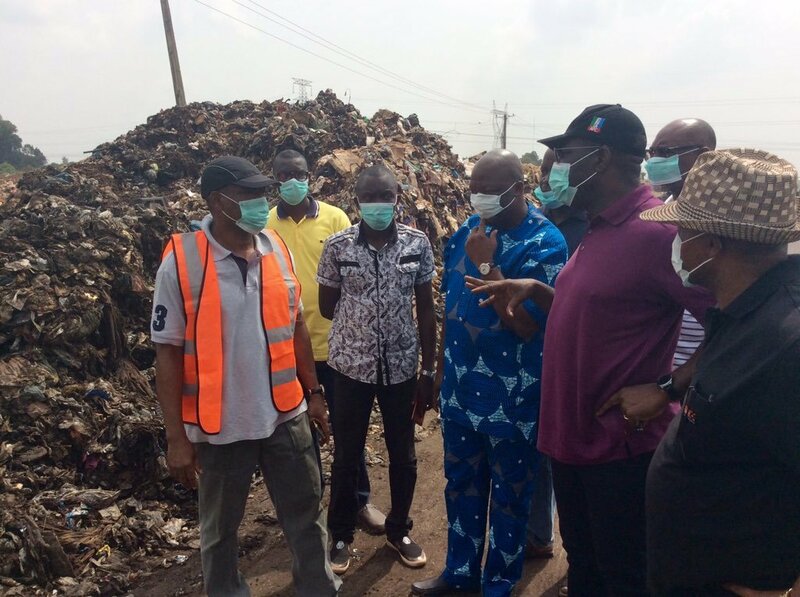 The University is working hard on a plan to build a Bio-Reactor in Edo State that will convert waste from dump sites in the environment to electricity. This means less power outages in Edo State! God knows we all need power in order to "fuel" our dreams. Benson Idahosa University is partnering with a Switzerland-based company to build the bio-reactor at no cost to the Edo State Government. Something remarkable about their agreement with the University is that we are being made to sign a clause which guarantees no corruption or kick-backs of any kind. They want straight-forward, honest business in this state as much as we do. I heard the Governor mention in our meeting that he personally has visited the dump sites and that the environment is something he has included in his agenda for the first quarter of his tenure as Governor. It is interesting to me that we were working on this before he took office. The timing of the release of this project fits into the word "epic." I can tell you that Waste to Wealth project is something very dear to all of us in the Church of God Mission family and especially my husband, Feb. In fact, getting this project from an idea on paper to a commitment for funding to a discussion with the state government has taken about six months. In the midst of a busy and productive 2016 we were able to get a strong commitment for funding from our international investors in Switzerland. To this end, Governor Obaseki urged that the plan be committed to paper so that the Edo State Government can sign an MOU with Benson Idahosa University for the commencement of the project. The proposal he mentioned was submitted within 24 hours, as he requested. I can tell you that this project will do more than generate electricity in the state. The construction of the reactor, as well as its management, will provide much needed jobs in the state and will play a vital role in ensuring that we live in an environment that is aesthetically pleasing. The Godwin Obaseki-led State Government is very interested in this project especially as it ties in with the campaign promises to create jobs for Edo residents as well as make Edo State the cleanest in Nigeria. In the course of the meeting, Governor Obsaeki promised to commence work on the BIU road within the next month as part of the ongoing renovation of the roads connecting the Ugbor Village road axis. All of this really drives home the message that if you are to "Do Something Epic in 2017," you must be intentional about it. Spend you free time working on transforming your idea from a dream sketched on paper into a reality. This is our year of exploits, so start Something Epic today!